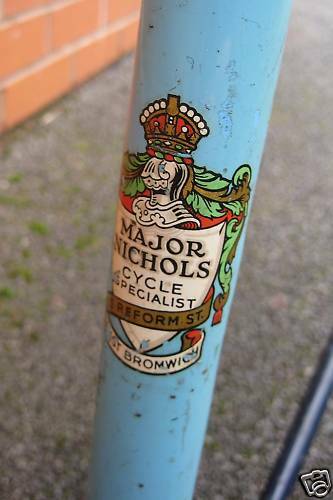 Since starting the Major Nichols Lightweight Racing Cycles website my lack of detailed knowledge has meant I needed to become re-educated about the bikes of my youth and the people who built them and I still have huge gaps, even with Majors. Over the last 5 years I have gathered a fair number of photos myself and many more from Alvin Smith and Felix Ormerod. 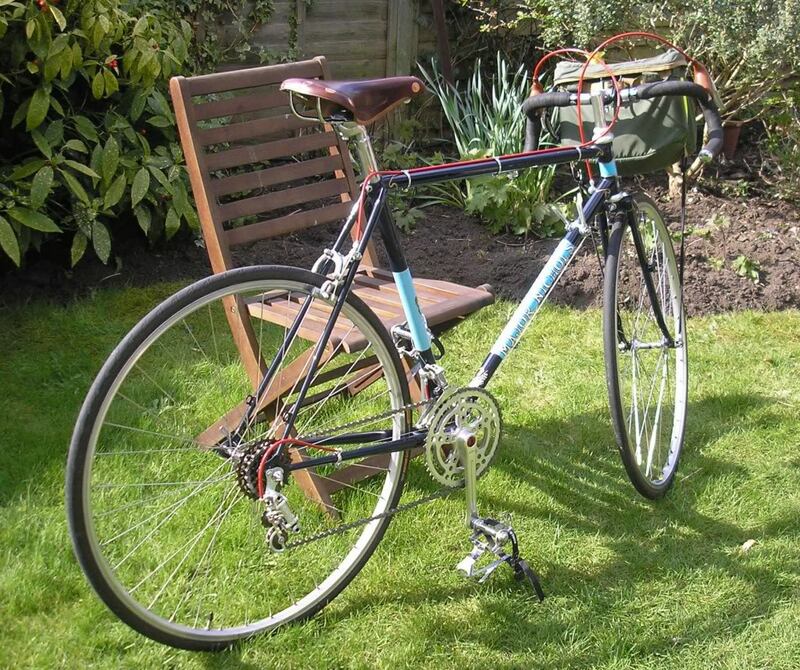 From this has come an interest in the other bikes Major built for Wilsons, John Williams and others and also the legend of lost transfers that has proved to be true. 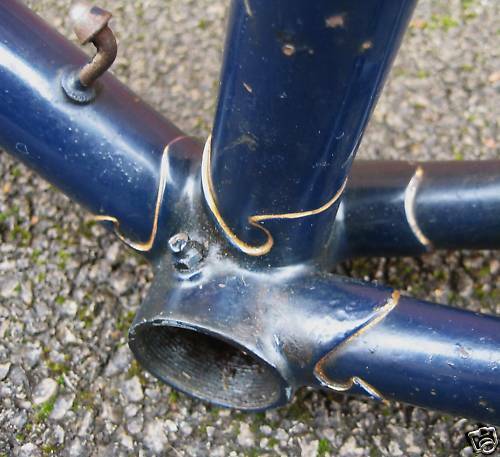 Felix’s treasure trove of photos has provided the lost Major Nichols garland head and seat tube transfer seen in the flesh at the 2015 MN Ride on the 1963 Green Mixte bike. It had simply been overlooked by everyone. Amazingly a second bike at the ride had two of them and another possibly unique head transfer. My eye was in by now and I found another three garland examples in the photo record on two frames which were not on Major’s built frames but which are without doubt his finishes. One has two garland transfers. 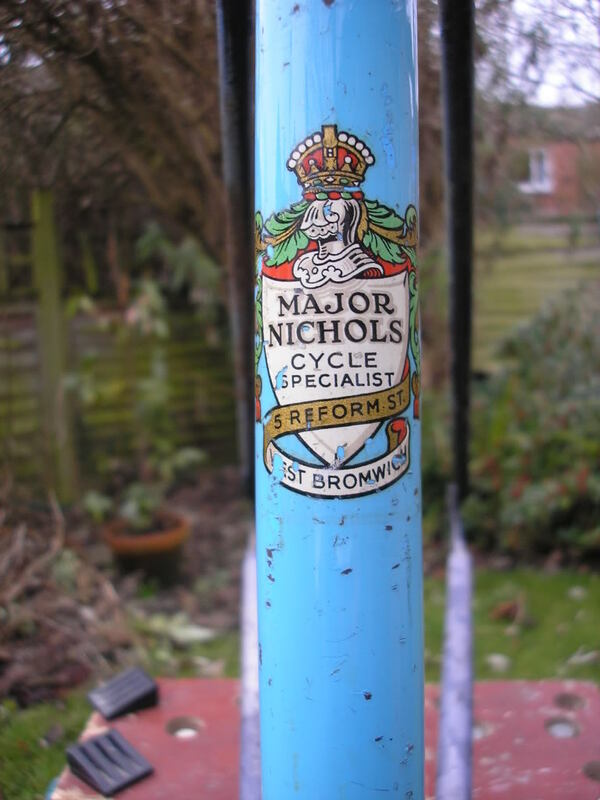 One on head and seat tube plus a flag transfer on the down tube. 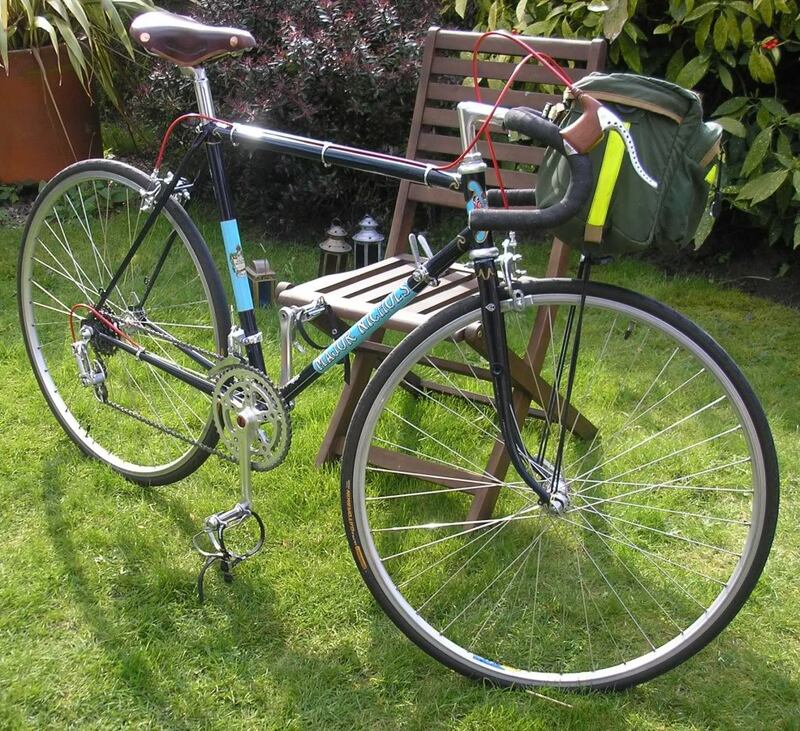 The second has flag head tube and down tube transfers plus a garland seat tube transfers. 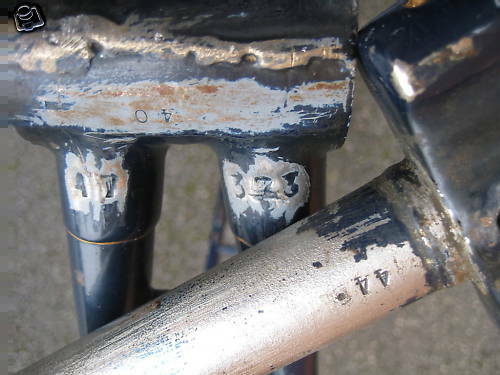 Both frames are almost identical in size, components, build detail and finish and we can see from the frame number of the un-built one that it was without doubt built by Bill Gameson. 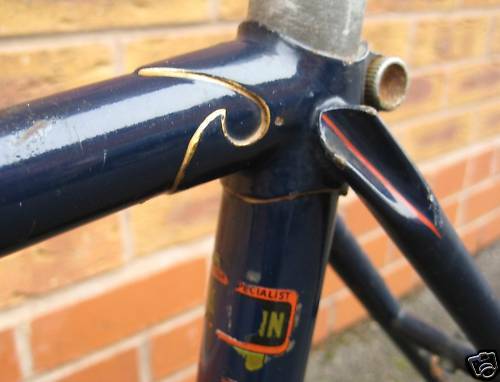 I also have evidence of a third frame in the same colours and finish which shares the same lugs. Alvin is of the opinion that they are refinishes. One yes, two the same size perhaps, but three almost the same raises the question for me. Did Bill build them for Major to finish and sell on? I’d like to know but I fancy we are unlikely to ever find an answer. 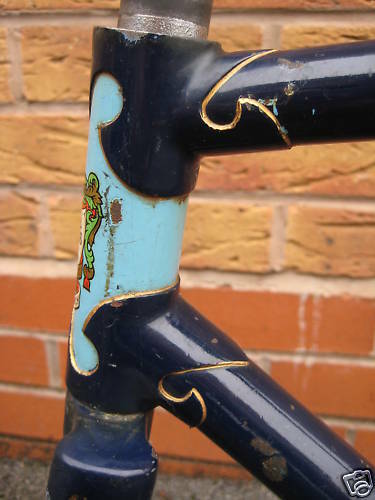 It would be early in Major’s building career and we know that Major had great respect for Bill’s frames. 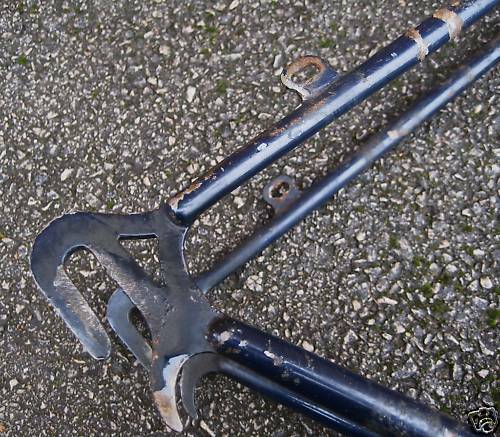 The photos of the un-built frame were from an open source. 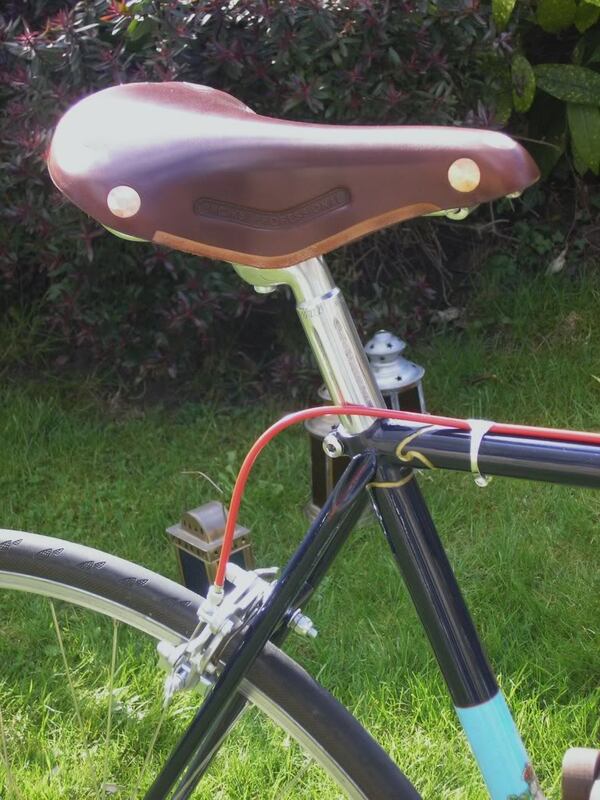 The full bike photos are believed to be similarly open source but I have attempted to contact the owner, ‘creakycranks’ and had no response. 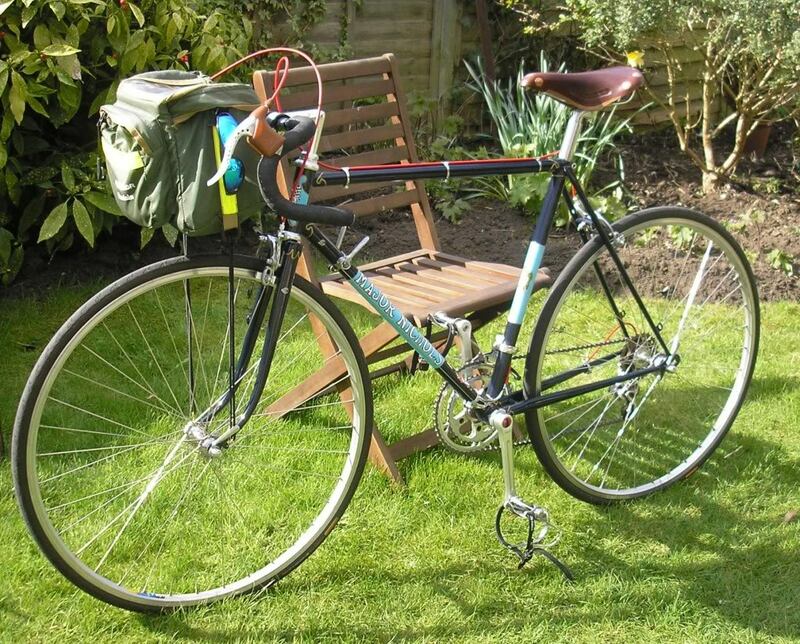 He has a Bill Gameson built frame he probably doesn’t know about. Whatever it is, it is a little smasher! Personally I would be a bit smug about having a wolf in another wolfs clothing!